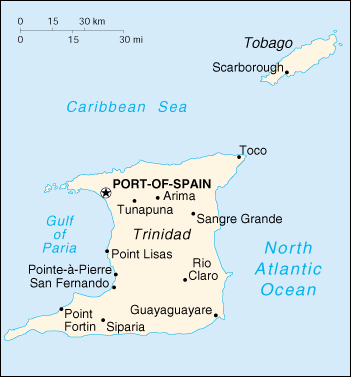 Trinidad & Tobago, the southern twin islands in the eastern Caribbean are flanked by the Atlantic Ocean on the east coast and by the Caribbean Sea and the Gulf of Paria on the west coast. With the island just 11km from the coastline of Venezuela, Trinidad's new Piarco International Airport is ideally located as the hub between North and South America. Tobago's Crown Point International Airport welcomes visitors with the ambience of this untouched Caribbean island in the sun.